My monster illustrations were a trip back to my childhood spent reading Steve Jackson and Ian Livingstone’s ‘Fighting Fantasy’ series. 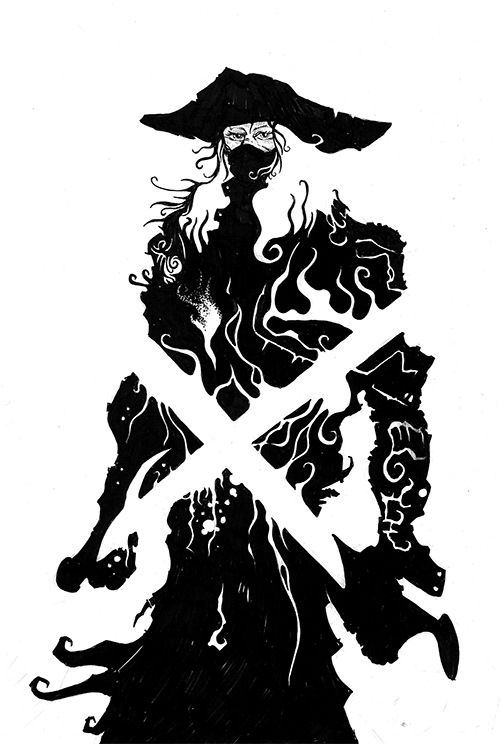 The silhouette style seemed to lend itself to the European dark fantasy genre, so I started work on a couple of character illustrations.Game books traditionally used the device of the characters making eye contact with the reader – breaking the fourth wall. The flaming swords add movement to a static pose.